It’s safe to say this drop seat rigid isn’t going to win any beauty contests. But then again it wasn’t built for that purpose. 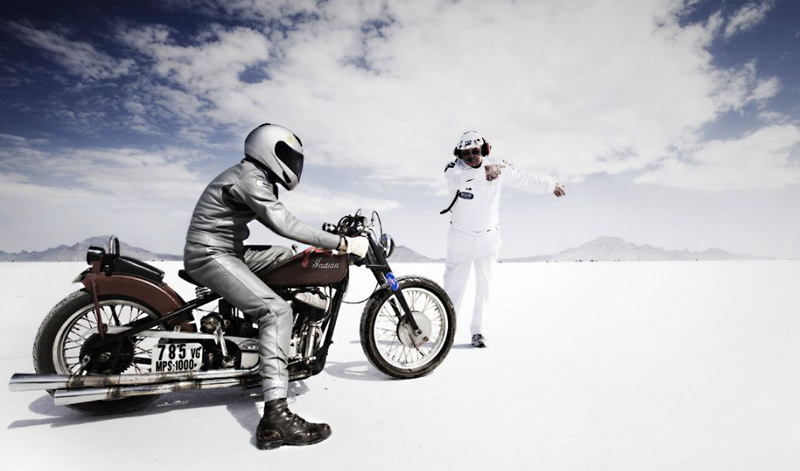 The Icon Death or Glory was built for one thing in mind – speed. One of the first thing that caught my eye was the plastic toy mirror, so I asked Icon’s design director Kurt Walter whether it was there to be ironic, he replied “I built a 2100cc powered rigid death machine virtually incapable of turning or stopping yet equipped with Ohlins forks on billet Attack triples. Garnishing it with a mirror stolen from my daughter’s Barbie bike just seemed appropriate. So yeah, I suppose the mirror is – ironic, sarcastic, humorous, ridiculous, stupid… all of the above”. No it’s not the latest bike from Shinya Kimura, this blast from the past was originally featured in Australian Motorcycle News back in 1998 – which doesn’t feel like 12 years ago. Built by the talented Albert Bold of Bold Precision in Pennsylvania. Albert is well known for possessing bike building skills unmatched by many in the industry. Not many machinists can say they have turned cast-iron manhole covers into brake rotors like Albert has done in the past. 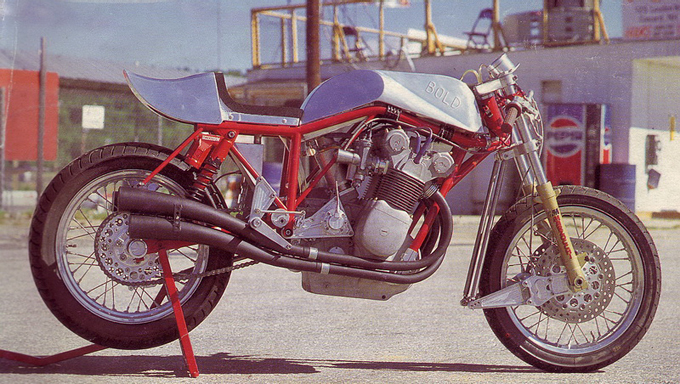 Bold estimated that more than 2000 hours went into building this unique MV Agusta Racer. The reason being that he had a philosophy of no bolt-on parts if he could do it himself. “About the only corner I cut was the brake discs,” he said. “Those manhole covers worked great on the first bike, and the material was free – but I just couldn’t face the 40 hours of machining work to make each one, so this time I compromised and used Mercedes-Benz’ discs on the front, which I machined down to size, and a Subaru one from the local parts shop on the back. 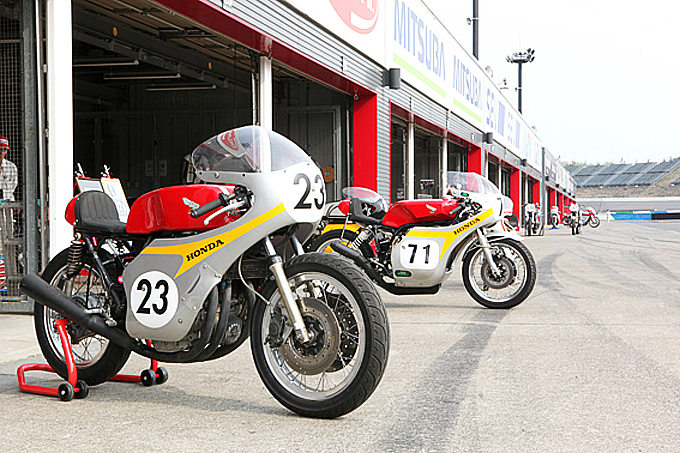 The name might sound like an Indian fast food delivery service but the Curry Speed Club (CSC) is a group of vintage motorcycle enthusiasts in Japan who own auto/bike shops and race their restored Honda’s at various tracks and events around Japan. The club is made up of many big names in the Japanese motorcycle industry including Maejima “Ted” Takeshi from Ted’s Special, the boys from M&M’s and the crew from Animal Boat just to name a few. 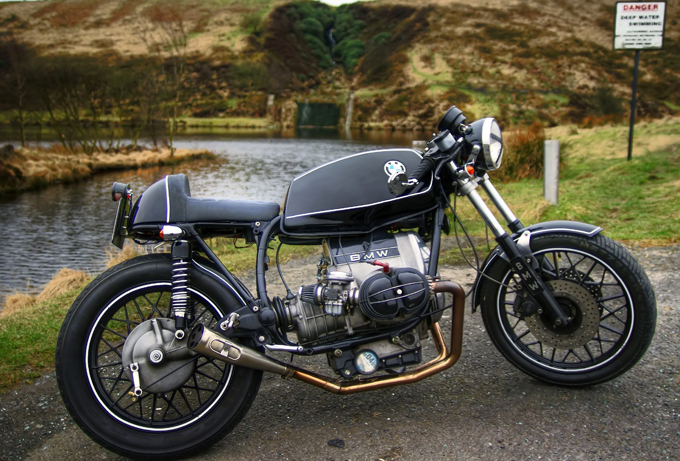 After two blown engines Englishman Chris Simpson decided to try and squeeze a R80 RT engine into his 1979 BMW R45 frame. “The powers that be said the engine wouldn’t fit, as you can see it obviously does” Chris explains. “The only engine mods were a lightweight flywheel and the air box was removed and replaced with a Bellmouths. It has custom stainless 2-1 exhausts with a stainless megaphone, fully custom sub frame with hidden battery under the seat pod, a large EARLS oil cooler from a Ford Cosworth. This beautiful machine named ‘Pony Express’ was built by brilliant Israeli industrial designer Amir Glinik. Unfortunately he didn’t build it with a wrench but in 3D with his computer mouse. Amir’s artwork is some of the best we have seen, his bikes look so real you can almost smell your jeans burning on the pipes. 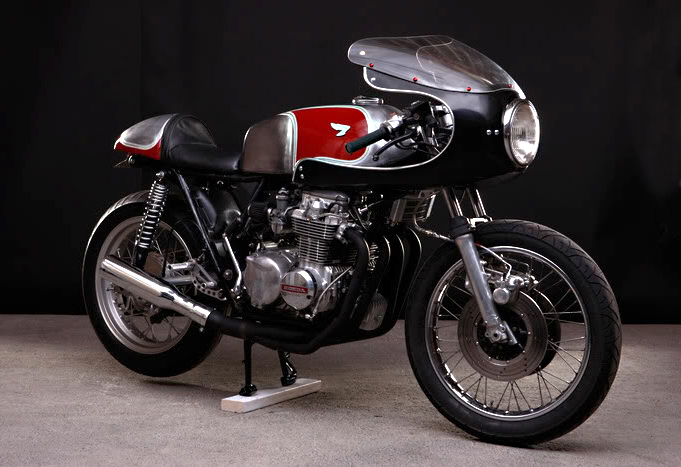 This CB550 has been lighting up the switchboard on the SOHC4 forum for the past month. 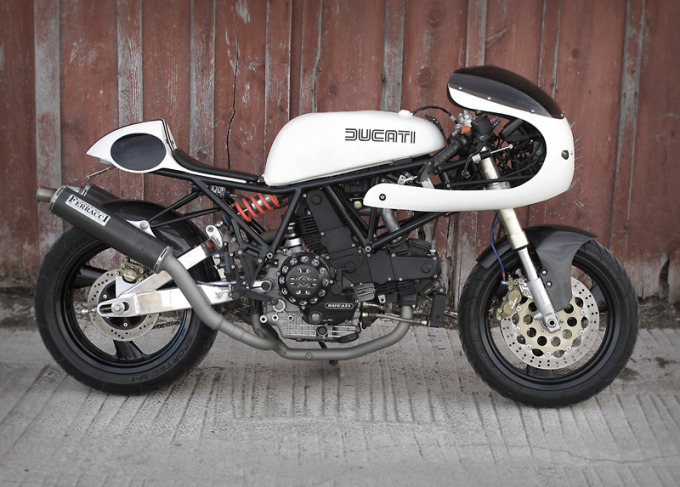 The bike was fastidiously built by a guy from Portland who goes by the forum name Paulages. 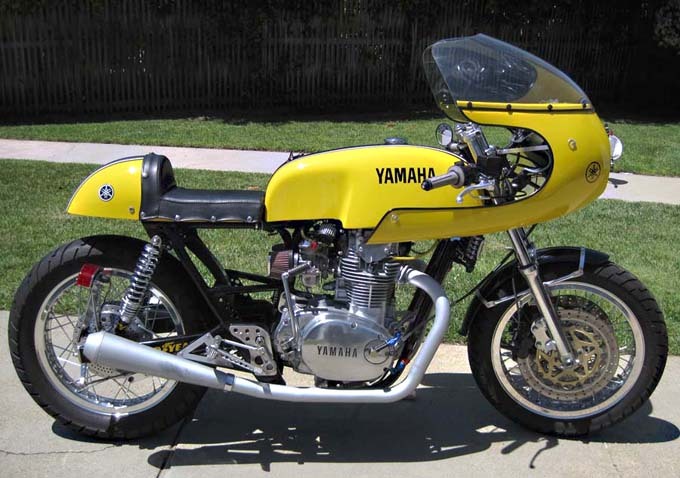 Paul said on the forum that “When i originally built my CB550, the engine was simply cleaned up and painted, and all bearings and bushings replaced, etc. 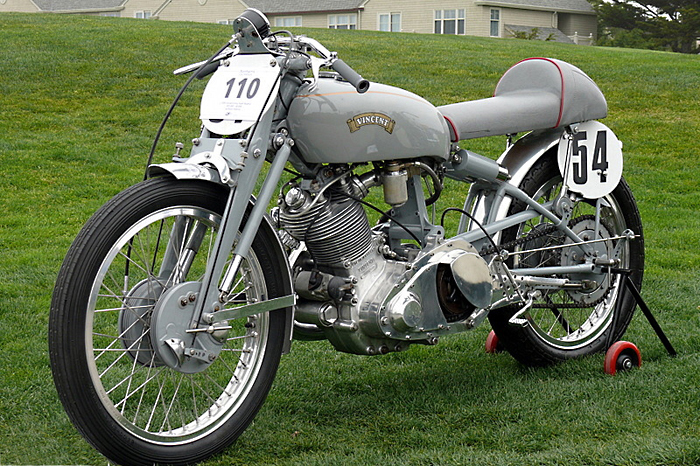 then, I eventually built the 718cc powerplant, and found that the rest of the bike wasn’t quite what the engine needed”.